Tune into the news today, and one would think that human beings were at risk of being wiped from the face of the earth—by tsunamis, earthquakes, swine flu, or terrorism. One could be forgiven for thinking that we are in far more danger today than ever before, but in fact, these dangers have always stalked mankind. From ancient volcanoes and floods, to cholera and smallpox, to Hitler and Stalin's genocidal murders during the twentieth century, our continued existence as a species is always perilous. Now, out of our horror comes an epic journal that goes through the history of the catastrophes that have ravaged the planet Earth. Disaster! offers perspective on today's fears by revealing how dangerous our world has always been, and giving the epic stories of some of the most devastating events to mar our history. 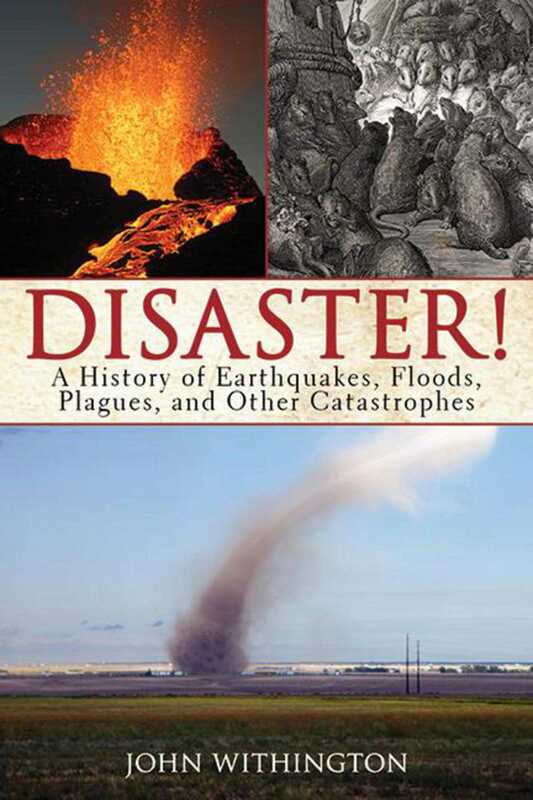 Natural disasters and man-made catastrophes mark every era since the dawn of man. Here is the Black Death that killed seventy-five million people in Europe and Asia during the 1300s; the 1883 volcanic eruption on Krakatoa; the Irish potato famine of the mid-nineteenth century; the Nazi Holocaust; the 1970 storm in Bangladesh, now considered the deadliest in history; and much more. Train crashes, air disasters, and shipwrecks litter human history and by reading, you will find that these are only the beginning. Sure to startle, inform, and entertain, Disaster! is a book of serious history that is also as much fun as any horror film. Book Cover Image (jpg): Disaster!